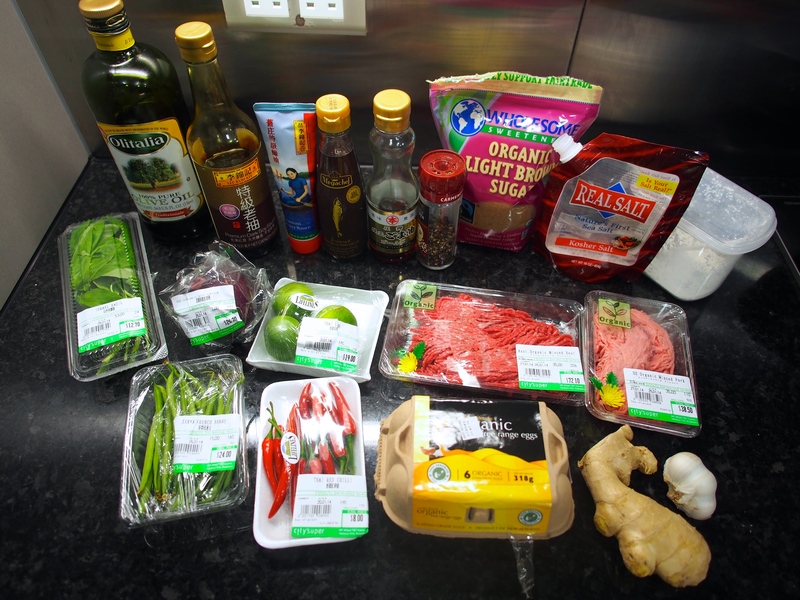 During our recent trip to Phuket, I got really inspired to bring the local ingredients and flavours back home. 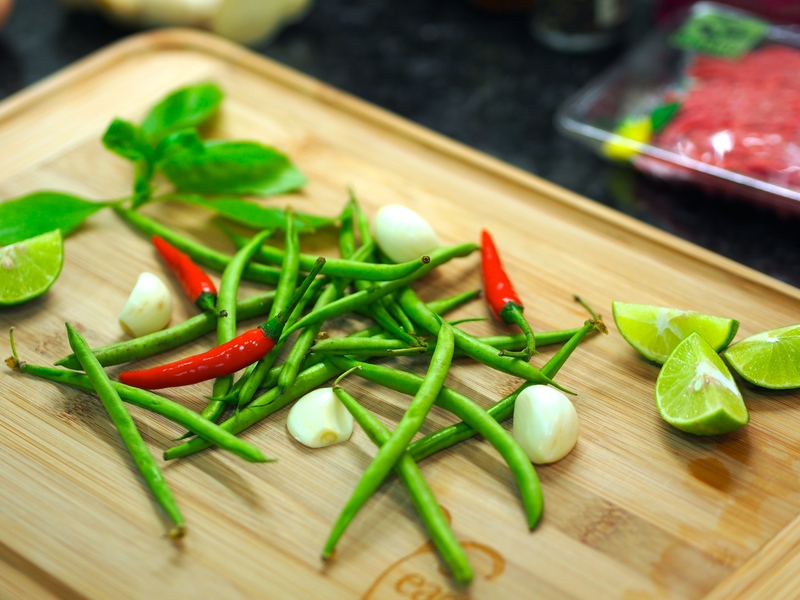 As I have mentioned, Thai food is all about using colourful fresh spices and herbs to create bold spicy/sweet/sour flavours. 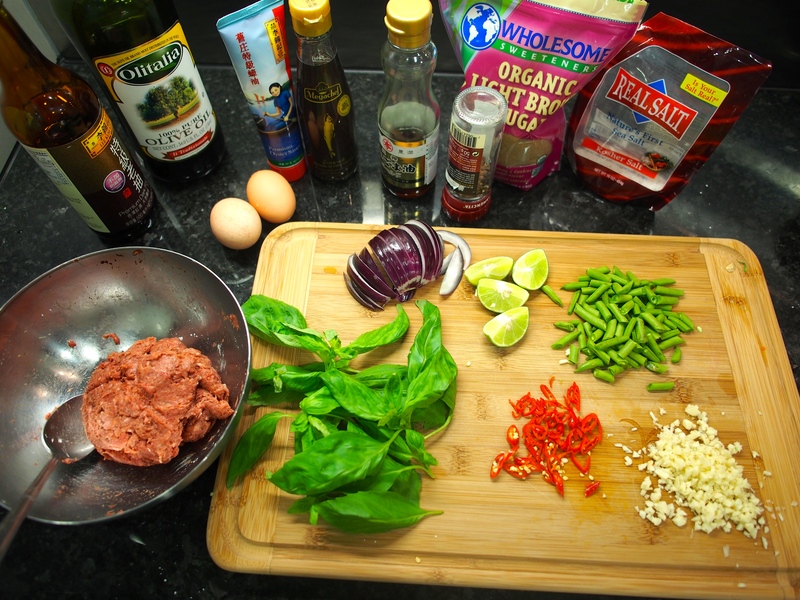 One ingredient that is extremely popular in south east Asian food, but not so much in Chinese food, is fish sauce. So after I came home, I went out and got my first bottle of fish sauce from City’super. 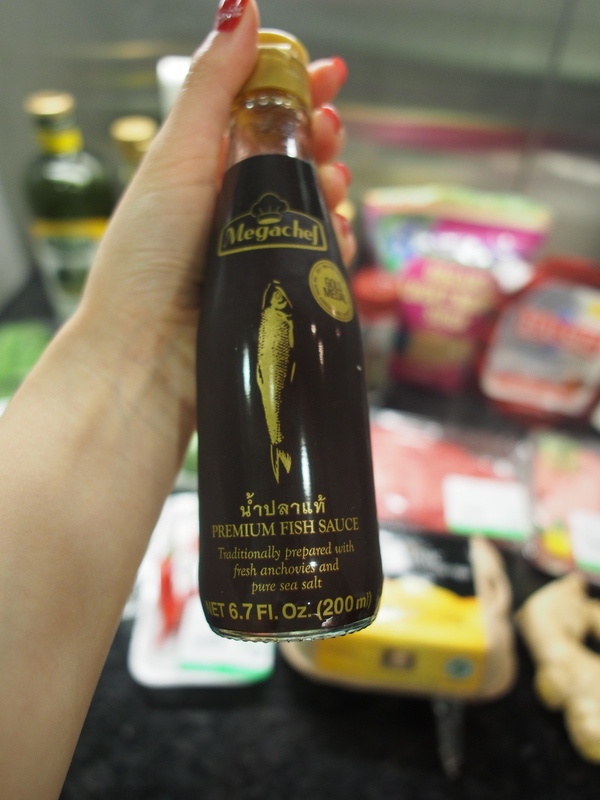 This brand of fish sauce is made purely from fermented anchovies without flavour enhancers or preservatives. It tastes quite salty, a tad bit sour, with lots of umami flavour, and smells like aged, salted, and dried fish (but not at all in a bad overwhelmingly fishy way). 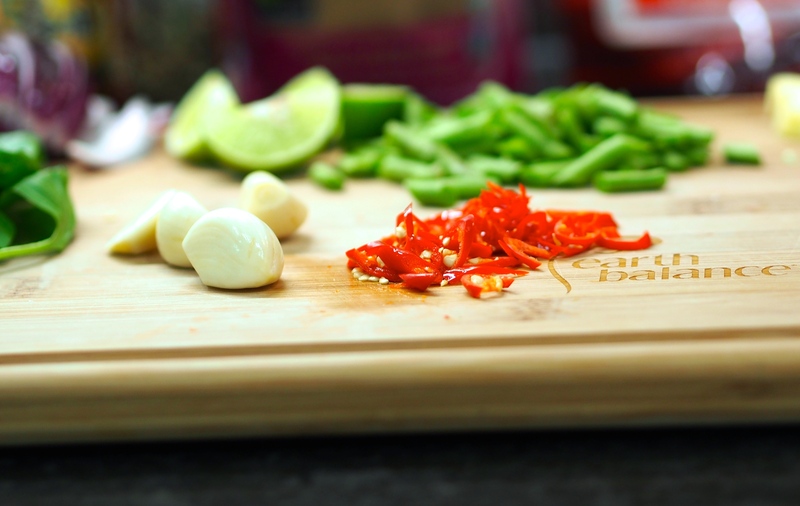 Now I know this may not sound the most appealing, but trust me it can bring your Southeast Asian soup bases, dips, and stir fries to a whole new level of depth. I tried using this to make soup noodles and it tasted like I had spent hours cooking the soup base with an assortment of shellfish and herbs. 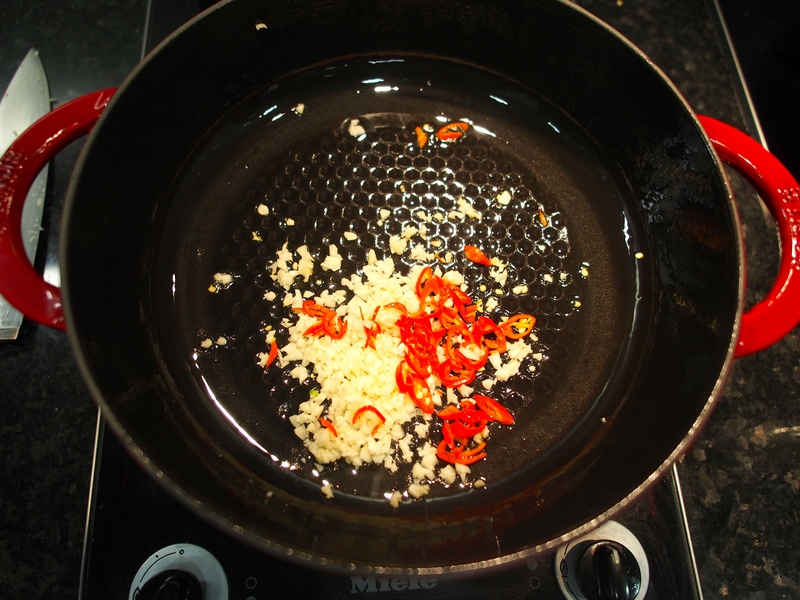 In fact, many Thai style sauces start off with a base of fish sauce, lime juice, chilli, garlic, and sugar. 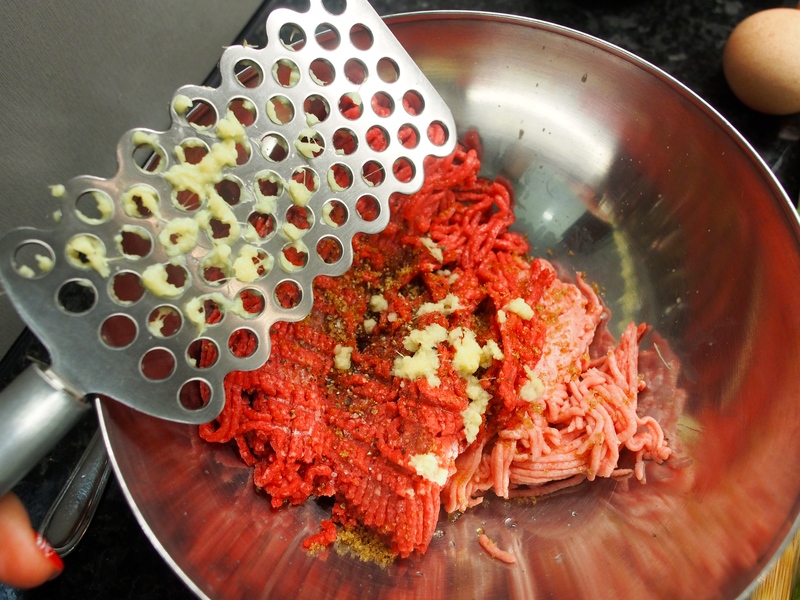 I have a kind of obsession with anything minced. I don’t know why, somehow I like the little bits and how the flavours seem to be so much more blended this way. 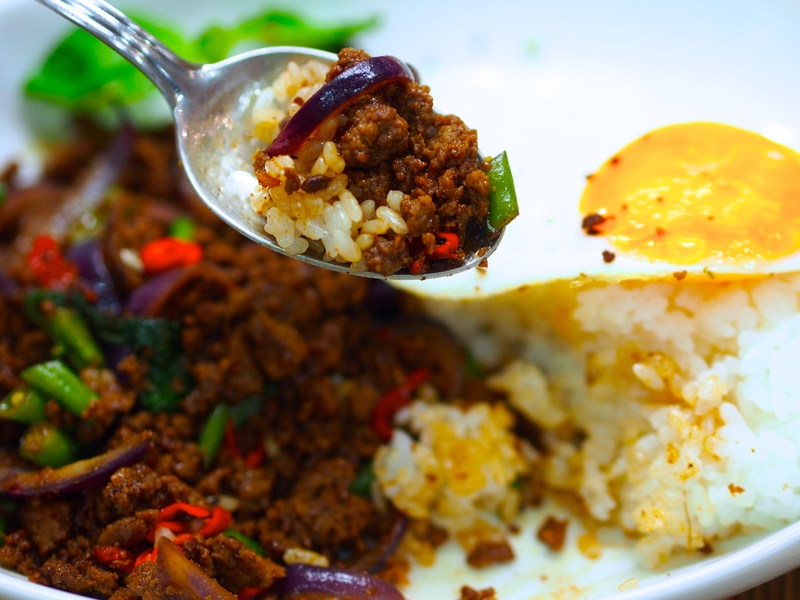 So when I sat down for my first meal at Naka Island Resort, this basil leaf fried minced beef with a fried egg over rice immediately caught my eye. 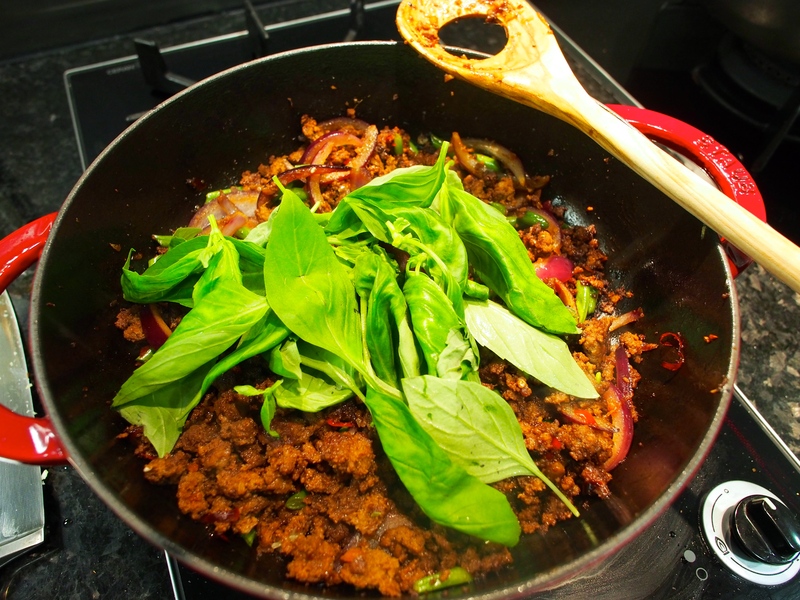 It is made from all the Thai seasoning essentials I mentioned above plus fresh basil leaves. 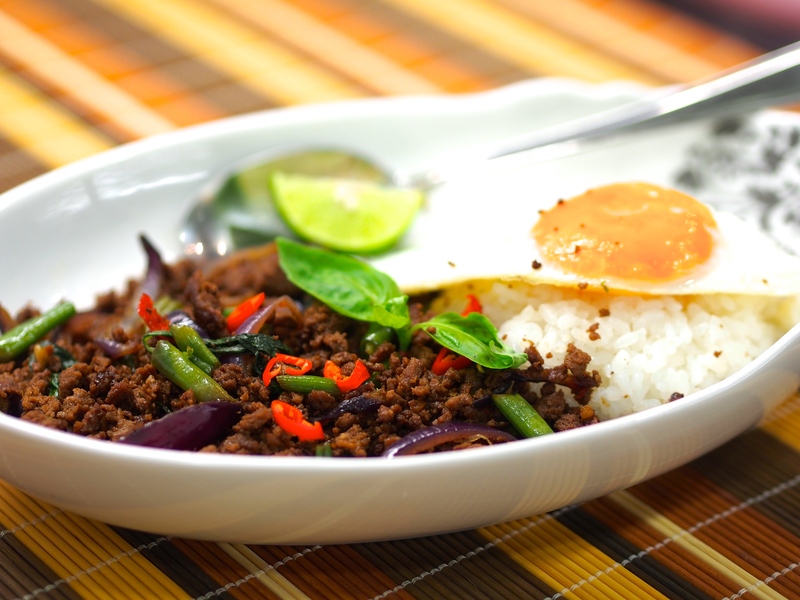 It is aromatic and spicy, and the fried egg with runny yolk helps to add that extra creaminess to blend the mince with the rice. So I was determined to bring this dish back home to share with y’all. This is perfect weekday food that you would just want to pile into a bowl and tuck into on the couch while watching your favorite TV show. 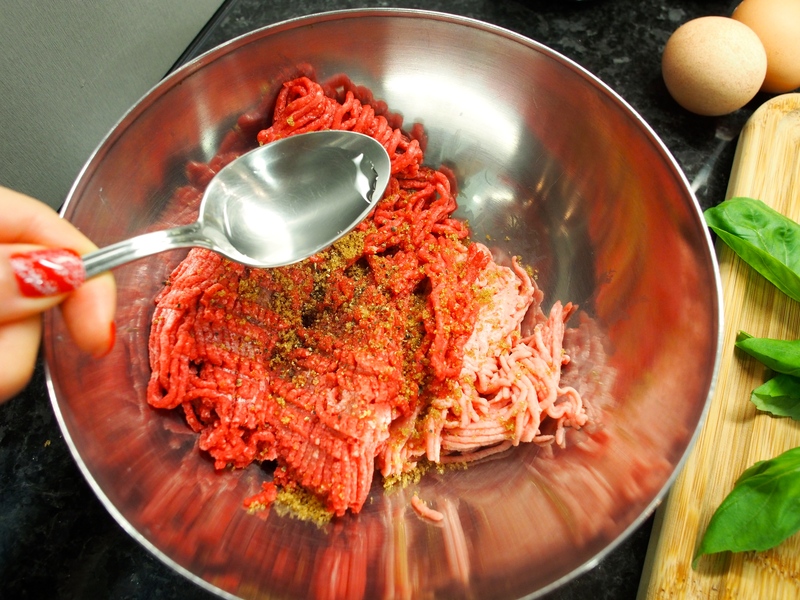 *You can replace 1/3 of the minced beef with minced pork for a fluffier texture because beef and chicken meat have less fat than pork, so the bit of pork fat can help to “smooth” out the texture. *The order of marinating meat actually matters because what corn starch does is absorb moisture and adhere to any wet surfaces, creating a thin “skin” around the meat so that when you cook it, you can brown the corn starch and seal the juice inside the meat. Meat is actually like a sponge and is very good at absorbing moisture. So what you want to do is add all the water/seasoning first so that the meat can absorb all of it, and THEN add the corn starch in right before cooking so that it won’t absorb all the moisture/seasoning away from the meat. 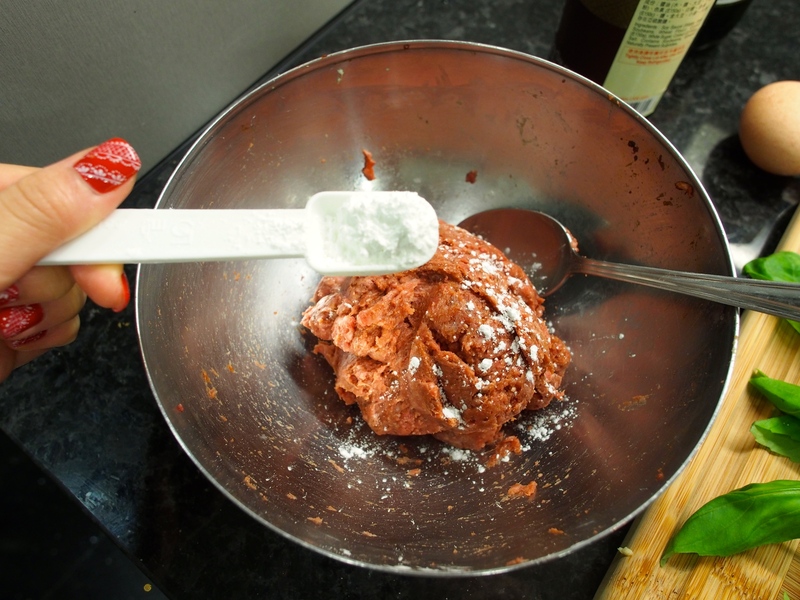 And finally, oil should be the last in because it coats the surface of the meat, which if you add earlier would prevent the water/seasoning from being absorbed. I know this all sounds excessive, so all you have to remember is to marinate your meat as usual, except corn starch and then oil go in last right before cooking. 4. 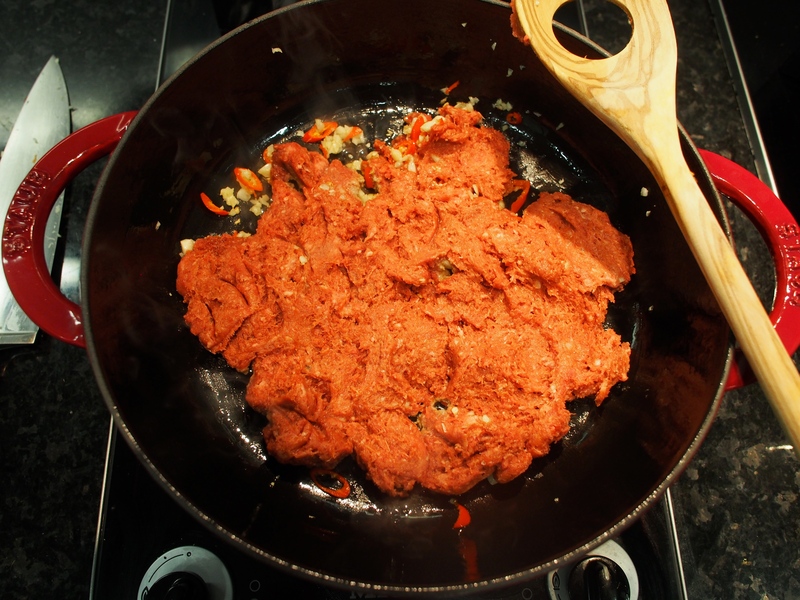 Add the minced meat into the pan evenly and avoid breaking up/turning the meat until it has gotten browned and crusty, then flip over and let the second side brown before breaking it up finely. *High heat will brown (extra flavour) and lock in the juice of the meat. 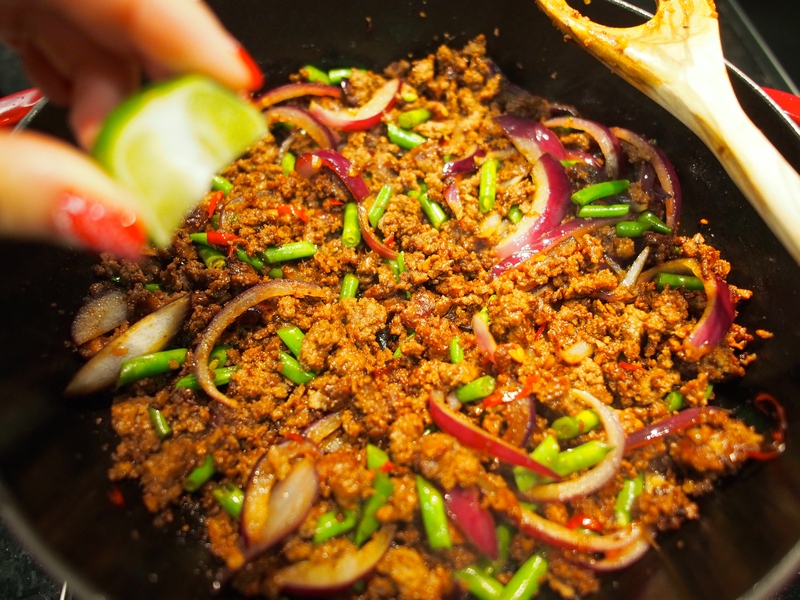 But when we keep tossing the meat, the meat in contact with the pan’s surface won’t be able to get hot enough to do that, letting the meat juices run out and have less caramelization. 5. Add the onions, french beans, 1 tablespoon each: oyster sauce, fish sauce, water, and 1 teaspoon brown sugar, toss and cover with lid for ~2 minutes until the onions and beans have softened a bit. 6. Taste and see if the flavours are OK. 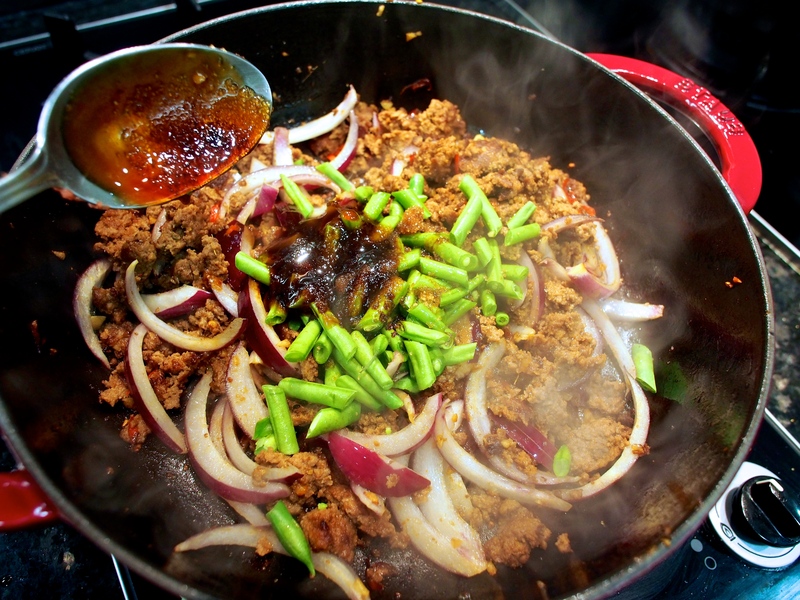 Squeeze in half the lime to balance the rich sweetness of the sugar and oyster sauce. Lastly toss in the basil leaves (leave a few for garnishing), lightly fry just until they have wilted and turn off the heat. 7. 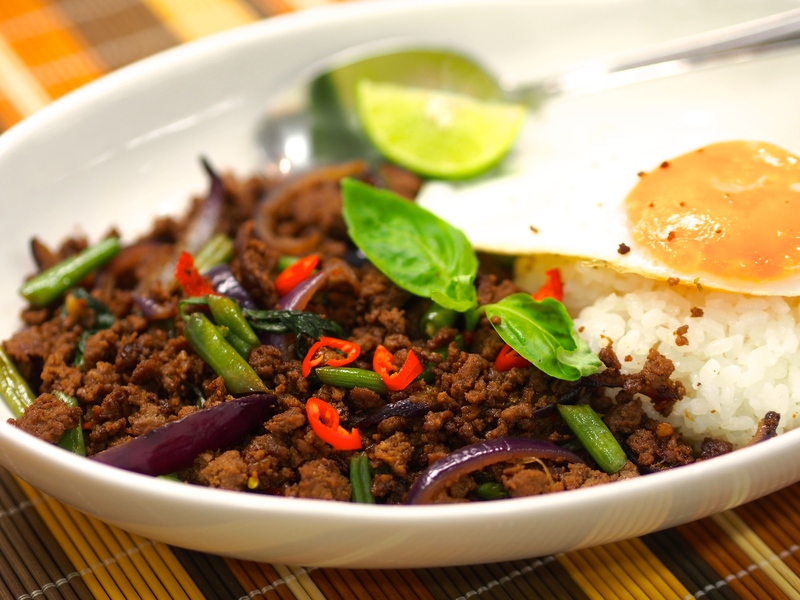 Serve over rice with a fried egg, garnish with fresh basil leaves, chilli, and a lime wedge. Coming soon: green tea matcha molten lava cake for Valentine’s day! Simply amazing! Sweet, sour, salty, spicy, and savory…. Everything is in perfect balance! I am a cilantro junkie so i substituted it for the basil. Also, if you can get the ground meatloaf blend (Pork, veal, beef) from your butcher/grocery store, it adds another layer of depth. 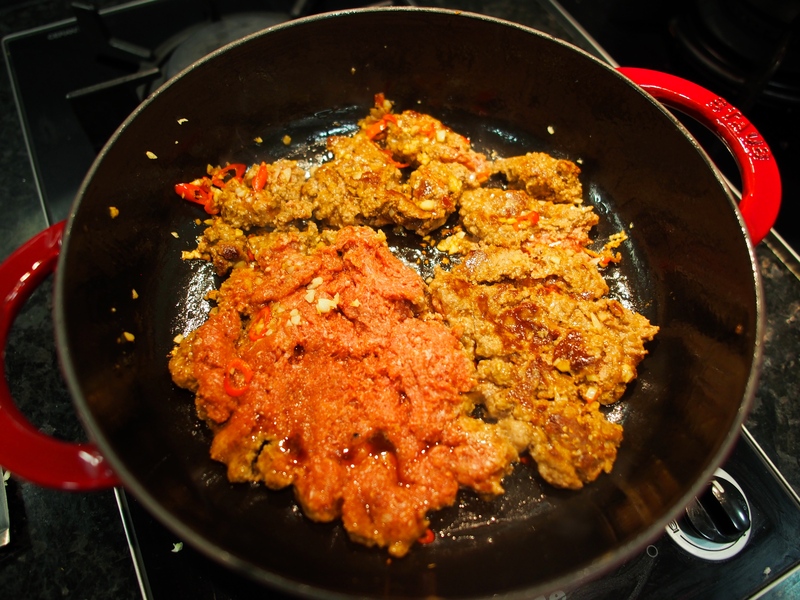 Got hubbie to cook this last night to use up some mince beef we had – totally amazing! When we try new recipes, hubbie will usually say “you can make this again” if he likes it. After trying his, he said with “yeah, I’m down with this”. Two bites later “I’m totally down with this”. Another two bites – “F*** yeah, this is awesome”. And it was! Thank you for posting the recipe! how long am i suppose to marinate the meat? 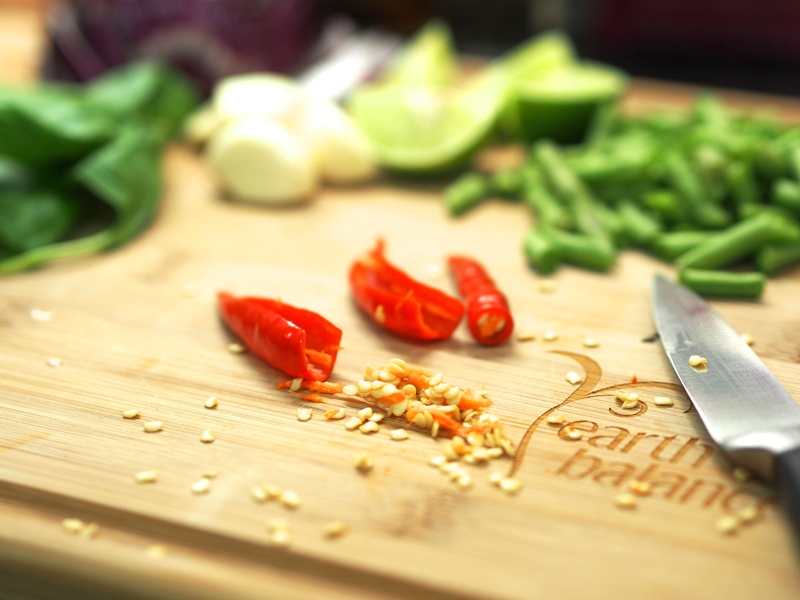 Hi Emily, sorry for the late reply, I usually marinate at least half an hour up to overnight! how long am i supposed to marinate the meat? Thank you for sharing this! I tried a couple of recipes of this same dish before but your is still the best and your tips and extra info are really helpful – this dish tastes great every single time. 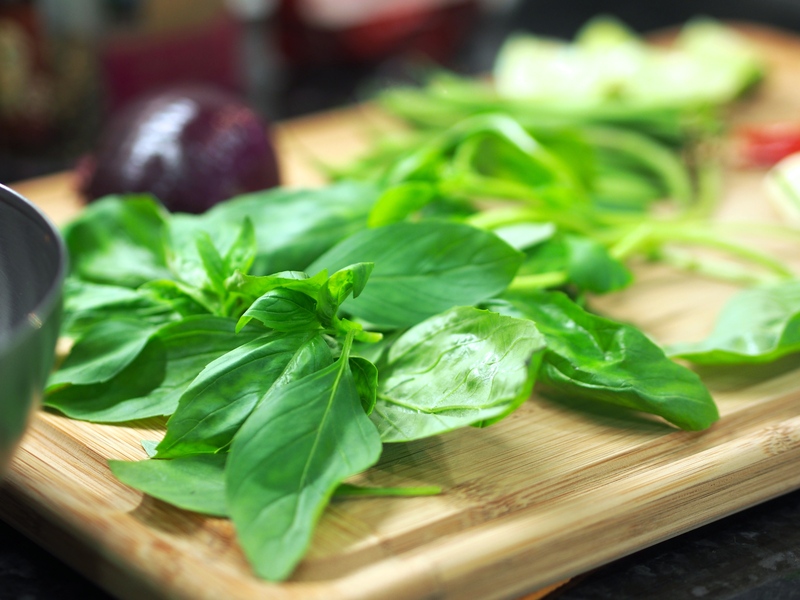 I use thai basil instead of sweet basil. Thank you Amelia! I’m so happy to hear that, thank you for leaving such a sweet comment!